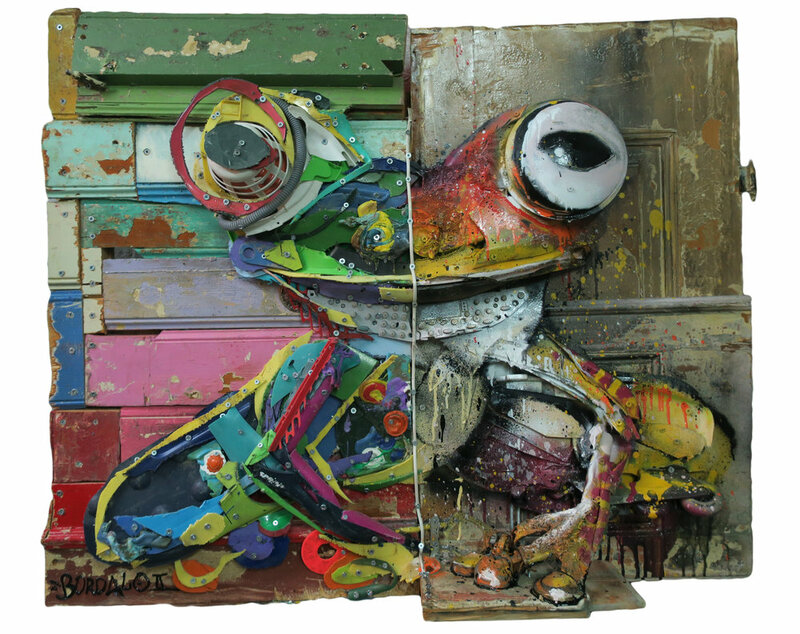 Born in Lisbon in 1987, Artur Bordalo a.k.a. “BORDALO II” begins each of his animal sculptures in a grimy hunt for raw materials in junk yards, or abandoned factories. Car bumpers, tires, door panels, mountains of malleable plastic bumpers and even entire vehicles are stacked and bolted together to resemble everything from pelicans, to foxes and tiny rodents. The pieces grow onsite taking form as he interprets the available materials. It is not only a way to recycle, but also a critique of the world we live in; where we often have nice things, which are based on junk without realizing. Through his art, BORDALO II hopes to draw attention to our culture’s uncontrollable production of waste.